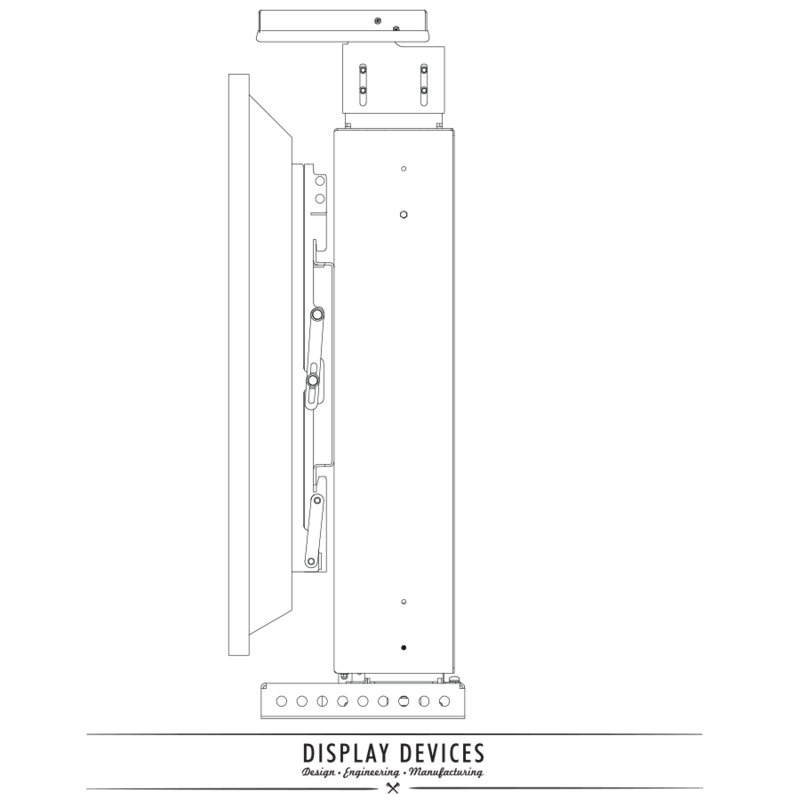 The PL-5000i/PL-6000i Flat Panel Lifts are an ideal choice for your home theater or office setting. Designed for seemless integration inside your furniture, the lift effortlessly raises your display at the touch of a button. Different sizes for flat panel displays 40" - 65"
Timed-control accurate to less than 1/4"
Dimensions do not include flat panel, speakers or closure. 36.00"w x 8.63"d x 34.75"h 41" 188 lbs. 36.00"w x 8.63"d x 40.75"h 41" 220 lbs. Flat mounting adapter for flat panel display. Specify Make / Model # of display panel. Enclosure Frame for PL-5000/PL-6000. Steel frame for mill worker to add cabinet - built to order. Specify dimensions of any optional products to be raised such as speakers, cameras, etc..
Power Current Sensor for projectors and Flat Panel Displays. 110V. Wireless Infrared Remote Control. May be used with any motorized Display Devices product. Wireless RF Remote Control. May be used with any motorized Display Devices product. Wall Plate Remote for all Flat Panel Lifts. Single-gang white. Wall Plate Remote for all Flat Panel Lifts. Single-gang black. Wall Plate Remote for all Flat Panel Lifts. Single-gang brushed steel. Rack Mount Panel Remote wired control panel. 1.75" x 19" EIA black. Locking Wall Plate Remote wired control panel with security key lock. 4" x 4", white steel. Locking Wall Plate Remote wired control panel with security key lock. 4" x 4", black steel. Locking Wall Plate Remote wired control panel with security key lock. 4" x 4", brushed steel. © 2013-2018 Copyright by Display Devices, Inc. All rights reserved.